For their seller customers, most real estate agents use comparative market analysis (CMA) to recommend a listing price for the home. The process uses some of the same tools and methods used by appraisers, which mostly reviews recently sold homes in the area. Here is an overview of the CMA process as practiced by most real estate agents. Homes nearby or in the same neighborhood are the best comps. Because there can be many differences between communities, from the general location to amenities, it is best to remain as near as practicable to the home to be valued when making these selections. Homes as similar as possible in features, size, and amenities as the home to be valued make the CMA more accurate. The homes selected should have been sold as recently as possible. Because markets are continually evolving, using comps that are too far in the past may not be reflective of the current market. Determining the main differences between the home to be valued and each comp. There will be some adjustment of the sold price for each significant difference. For this example, a house with two bedrooms and two baths will be valued. Use a dollar value of the feature or amenity to adjust the sold price. Suppose a home sold nearby recently, but it had three bedrooms instead of the two in the house to be valued. The agent would use some subjective value of a bedroom, and in this case, subtract that amount from the sold price to make the three-bedroom home price more like that of a two-bedroom home. It works the other way as well. If a comp home has one bath instead of two, then the value of a bathroom would be added to that sold price. By using these methods, the agent adjusts the comparable homes' sold prices to dollar amounts they would have been if they were the same as the home to be valued. Take each home's adjusted sold price and divide it by the property's square footage. That yields a cost per square foot number. Once a price per square foot is ready for each of the comps, average them for a single price per square foot. Use the average price per square foot then multiply it by the square footage of the home to be valued, and you get a suggested list price. With this overview of the process, you can see that there are a couple of steps in the process that are not hard math. The agent controls the selection of the comps and the adjustment of their sold prices, and just as agents can be entirely different people, their choices can be just as varied. Those differences can change that suggested list price substantially. First, ask about the comps they chose. How long ago did they sell? If there were more from which to choose, why did they select those particular comps? When there are more than necessary from which to choose, often agents will rule out what they consider outliers sales; in other words, those sales that seemed high or low in the current market. Next, ask where their values came from for the adjustments. Perhaps they used remodel estimates for the value of a bedroom. This means of value adjustment may not be the best approach, as it costs much less to add a bedroom in the initial construction than to come in later and add one. If they're using values used by local appraisers, they're probably more accurate. One more question may be necessary, especially in active markets. Perhaps the agent selected comps that were older sold dates than others because the homes were more similar to the house to be valued. If the comps are not recent, ask if they have done or can do another CMA, but using the list prices of currently listed homes. These are your competition in the market. If market prices are moving, or if there are fewer similar homes available, this can change the average price per square foot and the ultimate suggested list price. 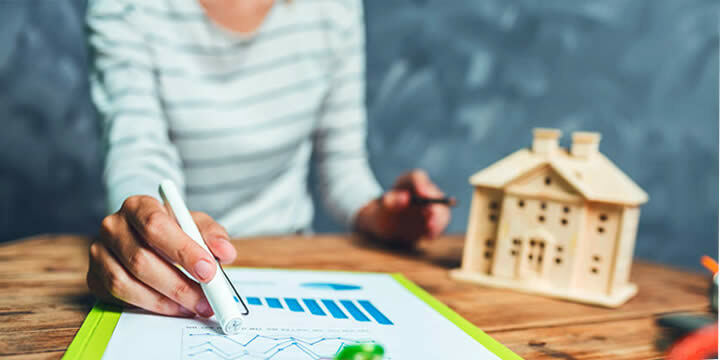 Knowing how an agent calculates a CMA and asking these questions can either give you confidence in their list price recommendation or cause you to ask for another CMA using different comps or feature values. You do not want to list a home at too high or too low a price, so this is the most critical service your listing agent provides.